The B.C. practice of requiring natural resource firms to hire their own consultants for environmental impact studies needs more oversight, a new report argues. The independent review, written by Forest Practices Board general counsel Mark Haddock, calls on the province to create a new provincial office that would oversee all of the professional organizations that regulate the experts who do that assessment work. That's just of one of 121 recommendations in Haddock's report, which has prompted backlash from industry groups, but is being praised by longtime critics of the system known as professional reliance. Is it time to stop relying on professional reliance? Professional reliance depends on people like foresters, biologists and engineers who are paid directly by industry to ensure that projects meet all requirements set out by the government. That work used to be the responsibility of civil servants, but it was outsourced by the B.C. Liberals early last decade as part of a core review of government services. For years, environmentalists, community activists and B.C. 's ombudsperson have been ringing alarm bells about the potential for conflicts of interest in the system. Haddocks' review is the result of a commitment made by Premier John Horgan to get the Green party's support of the minority NDP government. Environment Minister George Heyman said the ultimate goal is to build public trust. "Our end goal is to create a regime where the public believes and knows that government is exercising our responsibility, that professionals are accountable and have clear expectations and that we have a system in place that we can continue to create jobs and economic activity," Heyman told CBC. The provincial government says it is reviewing all the recommendations in the report, which include improvements to 28 different regulatory regimes related to natural resource management. 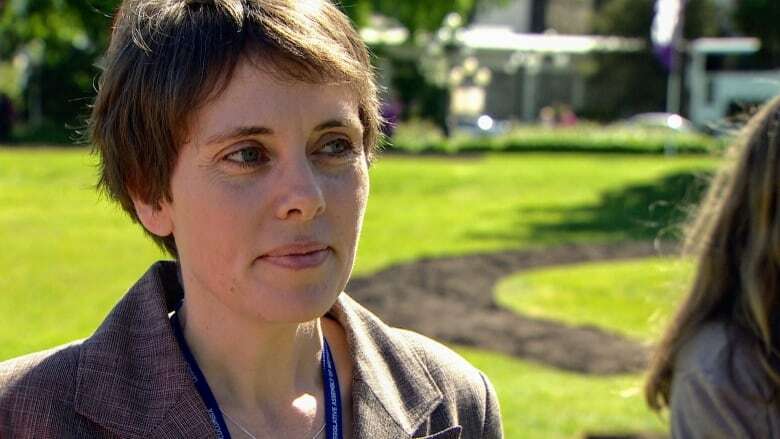 The current system has been a significant concern for Sonia Furstenau, first-term Green MLA from the Cowichan Valley. She stepped into provincial politics after becoming a leading voice in the fight against operators of an old quarry near Shawnigan Lake that had been accepting contaminated soil. Furstenau said she was pleased with Haddock's recommendations for revamping the system. "I think that it's important that the government begin to do this work," she told CBC News. The legal battle over the contaminated soil operation raised serious questions about conflict of interest in the professional reliance process. Last year, a B.C. Supreme Court justice concluded that the private engineering company hired by the operators as a technical consultant was a co-owner of the project, or at least had an agreement to become a co-owner. "What that meant for us was a loss of trust in the processes by which decisions were being made in our community," Furstenau told CBC. The investigation into the 2014 Mount Polley tailings dam collapse also pointed to issues with the current system, suggesting that professional reliance can lead to misplaced faith in the assessment process. B.C. 's chief inspector of mines wrote that the system "is not well understood or well defined; and when there are failures in the control, the impacts can be substantial." But some industry groups argue that Haddock overstepped his bounds by recommending the creation of a new provincial regulator. Both the B.C. Council of Forest Industries and the Association for Mineral Exploration expressed disappointment with the results. "Mr. Haddock's report misses the opportunity to focus on meaningful improvements to the governance of professional associations, drifting well beyond his terms of reference to propose unjustified changes to the forestry regulatory regime unrelated to professional reliance," B.C. Council of Forest Industries president Susan Yurkovich said in a news release.